What is a hard drive? A computer hard drive or computer hard disk is a digital storage medium that is used by your computer to store digital information. Very often, this is where digital scrapbooking projects are stored, because computers are used to create such projects. However, computer hard drives are very versatile and are used for the storage of many other types of files and projects. The first hard drive was introduced by IBM in 1957 and consisted of a number of large magnetic disks (24 inches in size). Fifty of these disks, used in mainframe computers at the time, could store only 5 MB of data. The structure of these early computer hard drives is a rigid platter (not flexible like the floppy diskettes) of aluminum alloy coated on both sides with a polymeric binder material containing magnetic iron oxide. The magnetic oxide gives these discs a brown appearance and it is the magnetic oxide particles which store the digital information as discussed in the floppy disk capacity page. Nowadays, what is a hard drive? In 1973, IBM introduced the modern day computer hard drive called the Winchester hard drive, which involves the use of smaller hard or rigid disks in a sealed enclosure. The structure is quite a bit different than the older hard disks. The capacity is very different as well. Initially, computer hard disk capacity was low, but it has grown steadily over the years and now has reached the 1 TB level. This is a very large capacity and allows for the storage of large amounts of any type of digital files such as text, high quality photos, audio, and high definition video. Hard disks also provide very fast access and write speed when compared to other types of storage media. Currently, there are five main hard disk drive manufactures: Seagate - Maxtor, Western Digital or WD, Hitachi, Toshiba, and Samsung. Several other companies purchase computer hard drives from these manufacturers and rebrand them with their company name. Prior to purchasing a particular brand of hard drive it is a good idea to consult hard drive reviews which can be used to select the proper hard drive for your needs. The - what is a hard drive question - can be a little confusing to some because computer hard drives are found in many different devices, but they are still just hard disk drives. Hard drives are found inside desktop computers and laptop computers and are called internal hard drives in these situations, in digital camcorders, in iPods, in personal video recorders such as TiVo, combined with DVD recorders, or they can be external hard drives that connect to computers via a USB or Firewire connection. There are also portable hard drives such as the Iomega Jaz Drive. Although computer hard disks provide many storage benefits, they are mechanical devices and they can suddenly fail. This is especially a problem with cheap hard drives. Some hard drive utilities do exist to monitor the health of hard drives, but predicting drive failure is not an exact science. Tips for preventing hard drive failure do exist and if followed can help eliminate the loss of information. What is a Hard drive Failure? A hard drive failure usually occurs suddenly and can lead to the loss of large amounts of information. Sometimes there are certain signs of hard drive failure that will be observed before the failure actually occurs. Regular backups of computer hard drives are critical to safeguard your digital information. Hard drive failures are often characterized as head crashes, but this storage medium can fail in other ways. Once failure occurs, there are certain utilities that can be used to attempt recovery, but often the use of such utilities does not work. There are some basic free hard drive recovery techniques to restore hard drives. 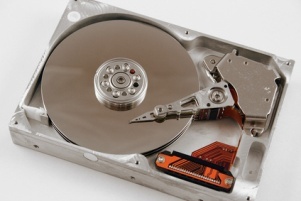 When all else fails, there are hard disk recovery services that specialize in rescuing hard drives. In many cases, these companies can recover part or sometimes all of the information on the failed drive. However, it can be quite expensive to go down this route. Note that attempting to open the hard drive casing without clean room conditions and without the proper expertise will contaminate and/or damage the disks and likely make any future recovery attempts impossible. DVD formats or digital versatile disc formats started to become available in 1997 with the introduction of the DVD movie disc. A DVD or CD Wallet and DVD CD album are two methods for storing optical discs. However, are these acceptable and safe methods for disc storage? CD storage cases or CD jewel cases are the recommended way of storing your CDs or DVDs in order to prevent deterioration.